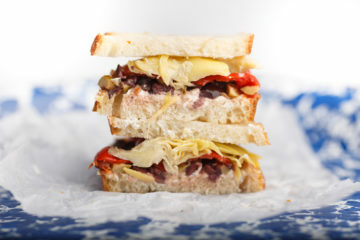 This vegetarian muffuletta is simple, but packed with flavor from olives, marinated veggies and goat cheese. 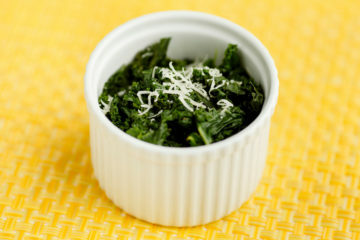 This cheesy garlic kale is sautéed on the stovetop, leaving precious oven space open for other holiday dishes. It takes only ten minutes to throw together! Adding a few ingredients of your own to store-bought pasta sauce can fool anyone into thinking the sauce is from scratch. This sweet and spicy orange chicken is served over a bed of cauliflower rice. 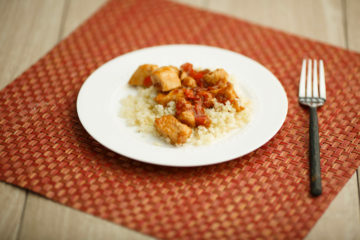 It’s a protein-packed meal that tastes just as good as takeout! 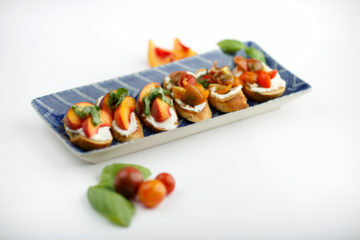 Rich ricotta toast gets topped with two of summer’s shining stars: cherry tomatoes and peaches. You don’t have to choose between savory and sweet with this recipe — you get a little bit of both! 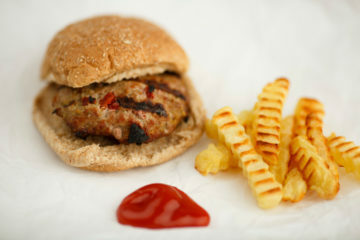 These aren’t your average, boring turkey burgers! They’re packed with sweet, sun-dried tomatoes and basil pesto, which keeps the lean burgers moist and delicious. 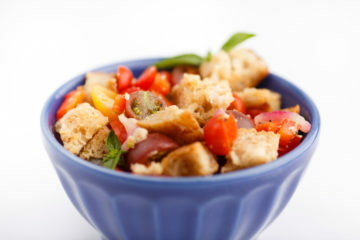 Panzanella is a quintessential summer dish that lets the freshness of sweet tomatoes shine. Crusty bread soaks up the juices from the vegetables, olive oil and garlic. Serve this as a side dish at your next cookout or as a simple summer lunch. 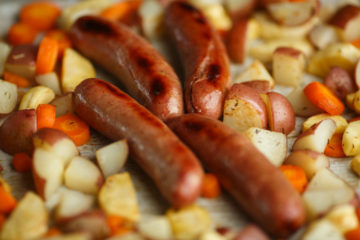 This healthy dinner comes together in 30 minutes and gets thrown together in one pan. It makes for an easy, delicious and balanced meal! 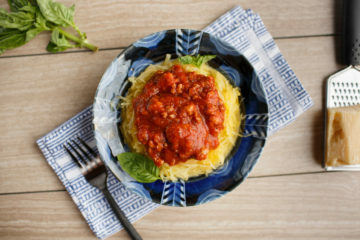 This spaghetti squash is topped with a spicy sauce made from chicken Italian sausage. 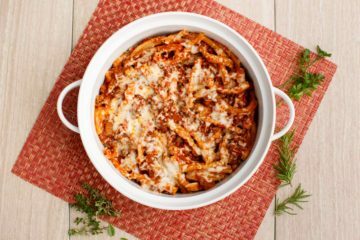 The end result is a pasta-like dish that’s packed with protein and fiber that will satisfy your tastebuds and your stomach. 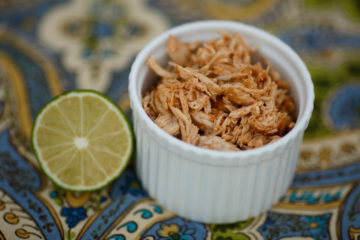 This chili lime chicken cooks in just 30 minutes and makes the best chicken tacos. The leftovers shine in salads, soups and sandwiches, making this a great meal to throw together on a Sunday and enjoy throughout the week. 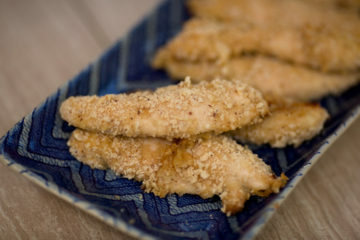 These chicken fingers are a grown-up version of a childhood favorite. They’re baked instead of fried and coated with gluten-free crackers, making this a meal you can feel good about feeding to the whole family. 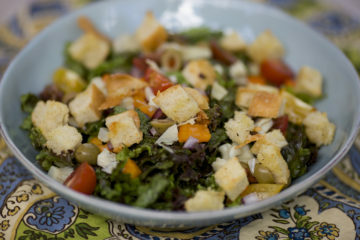 This salad is inspired by the flavors from my favorite Italian recipes and features tomatoes, bell pepper, olives and artichokes. The croutons are reminiscent of garlic bread.